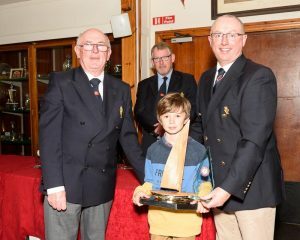 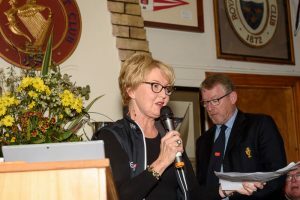 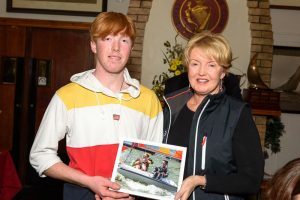 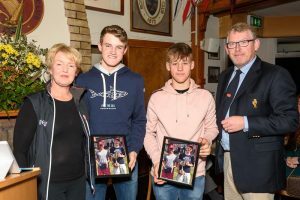 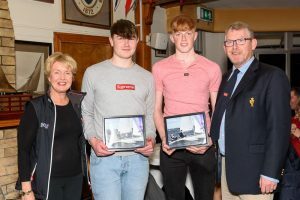 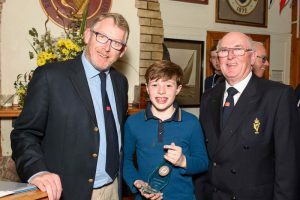 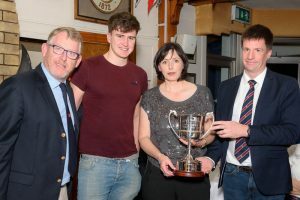 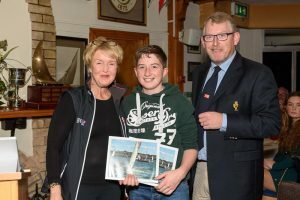 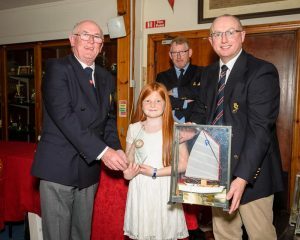 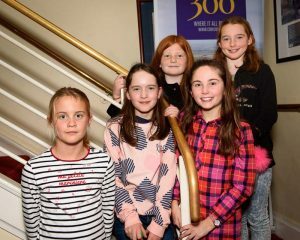 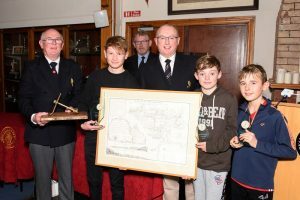 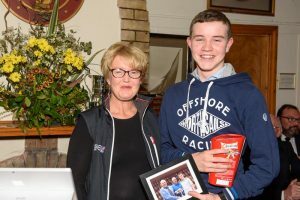 The Royal Cork Yacht Club Junior Laying Up Supper 2018 was held on Saturday 24th 2018 in the club house with parents and junior Sailors making up the 168 attendees. 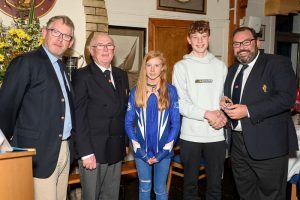 The end-of-year dinner was dispersed with the Class Captains giving an overview of their respective fleets activities during 2018. 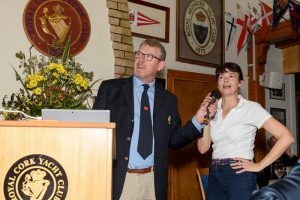 Presentations were made to the Optimists based on their overall performance for the year. 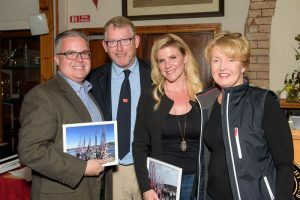 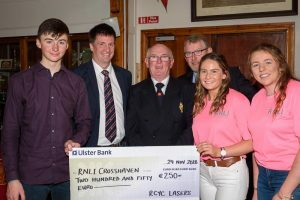 The Laser fleet, rather than give mementos to the sailors leaving, made a donation to the Crosshaven RNLI, which was very well received. 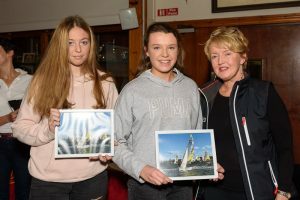 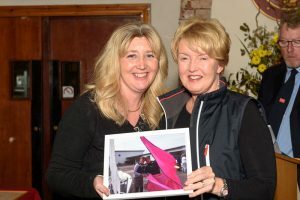 All the active Mixed Dinghy sailors received action photos from events during the year. 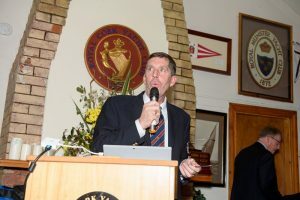 It was noted that the Topper fleet had significantly grown in numbers year-on-year and that a committee was being formed to help the Class Captain manage such a large fleet. 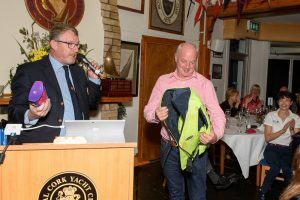 Various tokens of appreciation were also awarded during the evening for good services rendered in the season including our light hearted Parent Darwin awards for the biggest blooper of the year – a few notable contenders this year!! 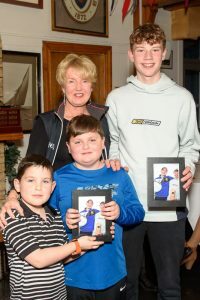 The climax of the evening was the award of the Pyewacket Trophy. 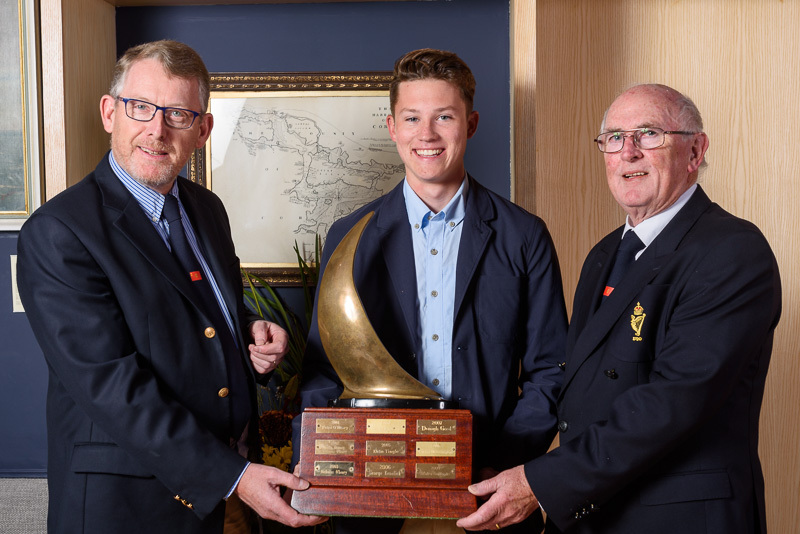 Originally donated by Roy Disney, this magnificent trophy is awarded to the sailor who has achieved the best results during the season both in home waters and abroad. 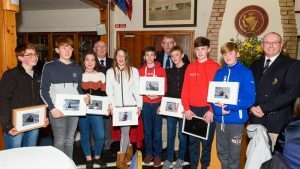 With the success of Royal Cork sailors in 2018 this was always going to be difficult and the sailors under consideration for the award were as follows: James Dwyer-Mathews(Optimist), David Jones(Topper), Atlee Kohl(Laser), Chris Bateman(Mixed Dinghy) and Jack Fahy(Wildcard).